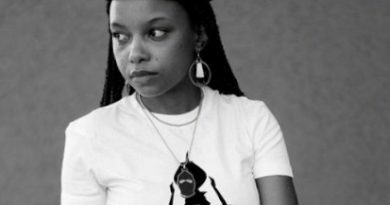 Tapiwa Mugabe is a writer who was born in Zimbabwe and raised in England, UK. He is the author of Zimbabwe. His poetry has been featured on Badilisha Poetry X-Change. This conversation happened between the sunny city of Gaborone, Botswana and rainy city of England, UK by Skype. Gaamangwe: Tapiwa, I have been reading your work for some time now, and I think it’s absolutely beautiful and illuminating. Often enough when I read it, as a reader, I feel like you are calling me to pay witness to some things in my life, and things that are happening in the world that are important to any human being. I am interested in knowing what you are trying to do with your poetry. Why do you write the poetry that you write? Tapiwa: I think initially with my book it was about creating a Zimbabwean voice and an African voice through poetry, and just facilitating conversations about certain topics that I felt as a Zimbabwean, African and as a man, we were not addressing. There are things that we feel individually as men but when we are in groups as men we don’t talk about them. We might talk about them with our sisters and mothers but we never ever talk about our inner most thoughts. It’s actually interesting some of the things I wrote about there are actually a lot of men who feel the same way but they are not brave enough, because this world does not allow men to embrace their softness. Which is one of the word that I associate with Zimbabwe. Its soft work. It’s a man being softly, and in touch with his emotions and not being scared to be so. I think one of the things I was trying to publish a book of words that put Zimbabwe on the map. Gaamangwe: That’s amazing especially on the topic about men and how society expect men to be. We often think that society tells only women how to be but there is also expectation that we as society, tell men how to be. So it’s important for us to have a voice coming from a man saying that a man can be soft, a man can also express himself with emotions being at the forefront, because at the end of the day we are all human, and softness is just being a human being. Tapiwa: Yes, that’s how I see it. I see it as us being human beings, and us being able to access all the range of emotions that we experience as human beings and being able to express ourselves throughout the whole spectrum of being a human being. Because we are not one dimensional, even as males and females. Today as a man I may have characteristics that someone may look at and think that I behave in a feminine way and as a woman you may behave in a masculine way, and that’s fine. Gaamangwe: Yes, human beings are multi-dimensional, and expression is not as simple as one is supposed to be this way, or act this way, it’s very vast. This is what I also find in your poetry, it’s very vast as well. One of my favorite poem by you is called You Are Oceanic. I would love to hear you read it for me. Gaamangwe: Wow. What is the inspiration behind this poem? Tapiwa: Again like most of my work, it was inspired by the women I encountered in my journey in my life so far. You find that when you become intimate with these women— whether its your sister or grandmother, your next door neighbor or girlfriend, women of all walks of life—you find out that at some point in time they had to make themselves small, shrink and cut some aspect of themselves. It can be within their career, school, playground, and in the social environment where we are just hanging out as friends. The female group within society always has to shrink themselves and it’s at their expense and it’s often to accommodate a man—be it a boyfriend, a father or a friend. So I was trying to encourage women that they are more worthy than that. I wanted women out there to be inspired and feel like an ocean because there is nothing bigger than that in this world. The ocean is humongous, and if a woman saw themselves as the ocean then they can become anything. We live in a world where men are put on a pedestal on every walk of life and women are thought to be small. So this poem is trying to tell women to stop putting themselves in situations where they are not appreciated, where their work is not recognized and for them to realized that they are actually more worth than how people might treat them, because of the way that society has taught us to treat them and view women, so it’s just try to break that mold. Gaamangwe: It’s very refreshing to hear a man speak so passionately about the way we women dim our light. Who are the beautiful humans who have inspired and influenced you to speak so passionately about women in this way? Tapiwa: I think my grandmother, who is the person I dedicated the book to and secondly my mother. These were the first women within my house that I saw. They are my first encounter with women, and where I learnt most of myself from, and where I take most of my inspiration from. After seeing how my grandmother and my own mother were treated by patriarchy within our family. And then you look to the left and to the right and you realize that it is almost similar story. But of course it’s not everywhere and it’s not that every family treat women that way, because some women have power and autonomy. So for me it was seeing how my grandmother and my mother handled the encounters with the patriarchy in my family was my first inspirations and sometimes when I write I am writing from their perspective. I am writing for them, and I am writing knowing they are still women out there who are still in situations where they need someone to speak about things they encounter, for them to not feel like they are alone and for them to feel empowered. Gaamangwe: It’s always heartwarming to encounter a male who is passionate and proactive about women empowerment. Often times when people think about female empowerment they think it means we have to take something from the man. When it’s really just saying that lets tip up the scale so we can be balanced. Both men and women are suffering from this imbalance. So thank you for being passionate and reminding us as women that we are much vaster than we realize. There is a lot of power when a man says it, maybe because few men actually say it. There is a girl in your poems, the brown eyed girl with a mouth full of rosewater, the girl that you long for, the girl that you want to show how much she means to you. Who is this girl? Maybe there are different girls but I am interested in knowing the girl (s) in most of your poetry. Tapiwa: I don’t think it was one particular girl. Sometimes as a writer you draw inspiration from the random of places. Some of the women I am talking about where actually people I was dating. I am pretty sure there is a poem where I was talking about my girlfriend at the time, and there are some poems where I was writing as just a writer not necessarily having an actual muse, but just being creative. Gaamangwe: Where do you draw your inspiration from and what do you gravitate towards in your poetry ? Tapiwa: I think initially I draw from my life and then after its any outwards experience that I have. It could be a walk in the park, a song whilst I am travelling, a book that I read or a picture I see. I have such a good memory so sometimes I remember things from when I am really young and that’s’ where I will draw inspiration from. I think one of the things I write about is nostalgia. If I look back to the time when I was writing and editing Zimbabwe, nostalgia comes up a lot. I go back in to the past quite a lot. I think I am a nostalgic and emotive writer. And all of that emotion it’s usually me looking back and drawing inspiration from past events and being nostalgic about them. Gaamangwe: Let’s talk about Zimbabwe and where home is for you. 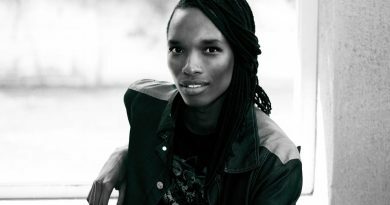 Tapiwa: I was born in Zimbabwe and grew up there until I was twelve or thirteen. That’s when I moved to England and I have been here for fifteen years now. I think home will forever be Zimbabwe, Africa. No matter where I live, that will always be home for me because I think my memories of the first decade are so strong, even though I have lived in England for the past fifteen years, and some will say you have lived longer this side, surely this is home. But for me, home is and will always be Zimbabwe. I have a strong connection with Zimbabwe. Gaamangwe: I grew up in a small village before I moved to Gaborone, and I have realized that my poetry is often inspired by this village, where I spent the first decade of my life. For many years most of my night dreams were based in my home village, even years after I have moved from there. I think there is an attraction to the past in that manner. I don’t know what we are trying to get from there but there is a way that it’s tied to our identity. Tapiwa: I think it’s interesting that you mentioned identity because I think for me part of the reason why I will forever identify as Zimbabwe as home is because that’s where my identity is from. And even though I came to live in England at an age that some people might say I was impressionable and I could have actually picked up English as a first culture, it still feels very foreign to me. I don’t think it could ever quite feel natural to me and be home for my soul. Everything Shona, Ndebele, Zimbabwe and Africa comes first. English-ness and everything else is basically second after Zimbabwe. Gaamangwe: Sigmund Freud— the father of psychodynamic, said that the first five to seven years of a child informs and influences their adult years and the issues that we have then. It’s like the first decade is where we draw the portrait of the self or the blueprint of the self. And the rest of the years are for removing some parts of the blueprint that are not working or improving on the ones that are good that we picked up from our childhood experiences and traumas. But then there is the topic of our inherited trauma, the collective traumas of our countries. We cannot talk about being Zimbabwean without talking about the trauma of Zimbabwe, past and current. How does the trauma of Zimbabwe add or remove to your sense of identity or person hood? 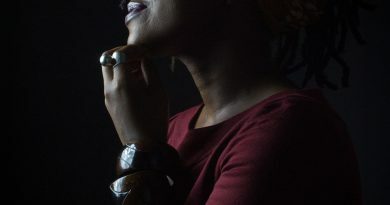 Tapiwa: I don’t think it takes anything away, if anything it adds more because what I have actually is that I have always felt connected to Zimbabwe even though I don’t live there constantly. It’s still home and whatever happens to Zimbabwe is still relevant to me. Whether positive or negatively and what’s happening with Zimbabwe currently and in the past has been mostly negative and I have found myself quite heartbroken in most cases with what’s going on. I am always trying to find ways in which I can be involved in improving the country. And that might be engaging with people who are in Zimbabwe over social media. And finding ways in which I can assist as somebody who is maybe more visible on social networks and even if it means helping financially or being involved in certain initiatives that are being carried out at home. Gaamangwe: What are your frustrations or the things that breaks you the most when you think about Zimbabwe, its history and its current state? Tapiwa: I think the thing that is absolutely heartbreaking is actually Robert Mugabe himself. It’s just seeing someone who we consider the elder, who we held in high regards in Africa as one of the elderly president of the continent, and then seeing Zimbabwe turn into such a sorry state. To see people suffer so much and to hear stories about our president and his cronies and how much they have accumulated for themselves and how much they continue to benefit from the country, whilst you have people living so desperately, it’s heartbreaking. Gaamangwe: It’s really heartbreaking. We have a lot of Zimbabweans coming into Botswana looking for opportunities and it’s obviously not easy for them. Most do not have the same life that they could have had if they were in Zimbabwe. We see the pain of Zimbabwe because we have a lot of really educated individuals who come here, only to end up working for the bare minimum jobs. People who if given the opportunity could be changing the state of our world. I feel so helpless. Take what’s happening in a lot of countries around the world right now. People are absolutely displaced and unsafe. And all they want and need is to have ordinary human lives, safe homes. So I share your heartbreak from a different perspective. Tapiwa: I know what you mean. I was thinking about the obvious effects of globalization and colonization. We have become almost borderless in our interactions and yet we still have these borders that separates us and at the same time I appreciate why they are there because as people from Zimbabwe and Botswana, we have different cultures and when we met and interact and share our experiences we leave enriched having shared those experiences. And at the same time I see how borders are dangerous. Because they separate us and create this otherness, which is actually a lie. There is no real otherness because your experiences and my experiences, what you want as a human being and what I want as a human being is actually the same. We all want a good education, good jobs, and to be able to live our day to day lives safely without poverty. As human beings that’s something that we can all relate to but when this borders are there, they create this otherness where I come into Botswana or England as a Zimbabwean, and I am being seen as someone who is intruding, when really I am just looking for livelihood. That’s all I want, and for some reason I cannot find that livelihood in my own country. And in most cases it’s because of the after effects of colonization and globalization. The more the world merges into one, the more alienated we become. Gaamangwe: The idea of otherness throughout history has always been the reason why we have wars and anything that is atrocious. The worst thing about us human beings is that someone always wants to be superior and different. We want to put other people in an umbrella and we want them to navigate the world in a way that is different from us. We don’t want to navigate it with them. When people talk about immigration, it’s them saying we are “others”, and that there are different and special from us. But I suppose people will always find separation no matter how close our experiences are. I was reading an article and it talked about how even we countrymen, Batswana or Zimbabwean people, have factions within us. This factions can be as simple as supporting different football teams. And how we can absolutely destroy each other based on that idea. Maybe its human nature. But our capacity to learn and understand is so great, when you take away the ignorance, hate and division, and you educate people and foster understanding we can actually take away that otherness and see each other as just human beings just trying to survive the world. Gaamangwe: I think perhaps everybody is trying to be God. Because I am failing to understand why we have a superiority complex as human beings. Why was it important for people to come to a continent, decide that our way of living is barbaric, rip off our cultures, languages, lands and then leave us to survive, after taking everything from us? Tapiwa: I think we need to understand that, that was evil at work. I don’t think we can purely ever fully understand it and I don’t think I want to understand it. That was just madness at work. What that did was take another human being and treat as something else, I wouldn’t even say as animals because in some cases animals were treated better than what our ancestors went through. I think that was just colonialist being evil. Darkness was upon them. Gaamangwe: I think that whatever happened in terms of how we as human beings came to be here on planet earth, there was a huge rift or separation that we do not know how to handle it. I think that there was a huge trauma with the first human beings. Because if we look out throughout history this is not new. We don’t know to navigate life without someone trying to be superior. who insists on being a parent. So when it’s pointed out, you deny it. Re-learn words that clumsily slip out of you. Grow a spine out of your mouth. That’s just like power! So much to unpack from this poem that I want us to talk about. But the first thing that I resonate with is this – I am not able to write poetry in my language. A friend once asked me, in what language do you dream in? And I had to think about it, do I dream in Setswana or do I dream in English? What is the language I am most comfortable with? And it was just mind blogging. We don’t realize how much was taken from us. We think this is how things are supposed to be. We are the children of colonization. Tapiwa: Yes, its absolutely awful and I think that when I wrote that poem I was actually talking about myself. It was a Eureka moment. Most of the poems that I wrote about on Zimbabwe were about the thoughts I had when I was very young. I remember seating there and thinking that it is so strange. Like you said, I too, could not write a poem in Shona and I remember one of my friend actually challenging me and saying I want you to write a poem in Shona that is going to go with your book Zimbabwe. And that’s how the two poems in Shona in Zimbabwe came about. There were actually me being challenged in my own mother tongue. I felt uncomfortable writing it. I can write in Shona but I thought and still think that I am not able to write in the way and like the celebrated writers in Zimbabwe who write in Shona. I feel I will not be able to put together a body of work in Shona that would be as varied as I write in English. It’s actually heartbreaking because I didn’t realize how colonized I am. We might have our countries and names back but we still carry their western-ness in our ideologies and mannerisms and in the way we behave. It’s such a shame because it makes us less because we could be so much more with our cultures and our languages. Because our cultures and languages are so beautiful. When you get to know Shona as I am now, and you discover the words in Shona that describe things that you cannot describe in English. Its powerful. For me it’s now just learning that and enriching myself with my culture and heritage. It makes me a better person. And if I lose that western-ness and Englishness that was imposed on me, it is not a loss, it’s a gain. So that poem was just to remind people that colonization is a beast, that could leave you feeling comfortable because when you speak in English half of the world relates to you. White people embrace you in their circle because it’s comfortable for them. We make it comfortable for them. When you strip away that western-ness and colonization in you, that’s when you find out that you don’t need to change your name for example. What colonization does is it cuts away your Africanness, your Zimbabwean-ness and Botswana-ness. Tapiwa: Wow. That is powerful. Gaamangwe: Right? We don’t even listen to our own languages. We don’t understand the power of our own languages. I had chills the first time I read it. This is what I have been saying all along. Tapiwa: It is so beautiful and so poetic. I literally had goose bumps too. It’s really amazing. But this is what colonization did. It distorted so much of what we are. Because our culture and heritage is so rich. I think it was jealousy. They couldn’t believe that these people who they thought were backward and uncivilized were this powerful and they destroyed so much of what could have enriched us today. It is now upon us, the people who are aware of what was taken from us, to go and re-learn all of that and put it into writing. And teach it to our brothers and sisters. There is so much more to us than what people think Zimbabwe or Botswana or Africa is. Gaamangwe: The narrative has always been that our culture is barbaric and this is why they came here to come and improve it. A couple of years ago, I had a shift— the way of life of our ancestors does not correlate with being barbaric. Our ancestors were people of community, of oneness. They were in touch with their spirituality and mother earth, and lived a simple life where the material world was not a priority. Attainment of the material world doesn’t necessarily mean self- actualization. Tapiwa: I am reminded of —it might be funny that I am quoting an English writer —Tolkien, the writer of The Lord of The Rings. It’s my favorite book. He talked about the hobbit as being very earthly. They loved farming and growing things, flowers in beautiful gardens. Later he talks about one of the evil wizard and he talks about him as loving machinery. And he was going about uprooting trees and destroying the land so he could build machines and for me whenever I read that I just see that as civilization coming to Africa, destroying the nature of the land and building these worldly things, that don’t add value to our lives. I mean that’s up for debate. But I do think they did more harm than good. Talking about this reminds me of what’s going on in Congo. It’s absolutely heartbreaking. It’s calling us to be more responsible with regards to our consuming of material things. Because it’s coming at a cost, especially in Africa and what they call the third world. Long enough to know why I yearned for water. And I have burned since. Why I kept foreign gods. Colonization took our own philosophy of why we are here, meaning of life, the way of life and gave us the foreign God. Now a lot of us, we look at our traditional belief systems as something barbaric and demonic. I often imagine our ancestors turning in their graves, thinking these kids have completely lost the plot. Our way of life before, simple as it was, maybe was the one that could bring us closer to the spirit or astral or whatever name we can use for the world or space we need to be closer to. Tapiwa: That is so powerful. Colonization is just a dreadful beast. And what you were saying is part of its machinery. Destroying our own religion and substituting our own religion with something else that is supposed to be better. And yet when we search for a God who looks like us within that religion, we come up short. I mean yes we can relate to the God of Christianity but the thing is the God that my ancestors use to worship I can still see the God of Christianity in them. It’s a loving God at the end of the day. And for what I have learnt from my parents and grandparents of what our religion use to be, that God was still a loving God. Gaamangwe: That’s all that matters. Another radical shift for me happened when I started to look at the words we used to look at the belief systems that our ancestors used to have. When I started to think of a Sangoma as shamans or medicine woman/man or healer who is able to interact with the material and immaterial world. That is all there is to it. Tapiwa: I always try to remind people that the only time that we associated Sangoma as something bad was when we started calling the Sangoma— the witch doctor. And the word witch is a foreign word that means something evil . But Sangomas are not evil, they are divine healers. They healed from the land. They duck roots and prescribe medicine that came from nature. And then you have colonizers coming in and taking those roots and turning them into white powder pills and selling them back to us. Its utter madness. I really will go back to living the way my ancestors did. Because it will make me a healthier being and enrich my spirit and God knows I will probably live longer on this current life path. Gaamangwe: Yes, this is the power of language. The way that we translate things meant some loss of meaning and power, an entirely new narrative. So we need a shift. It has to start with us because the damage has already been done and now we have to undo it. We have to look at what was brought to us and what we lost that was ours and pick what can work for us as the new generation. We have to think of our children and grandchildren because at this point we are struggling to speak in our own languages, what of our children? Will they have completely lost the whole culture in the next century? Now just to wrap up, how does your book Zimbabwe help with our narrative and healing? Tapiwa: With Zimbabwe, I wanted to tell my story as a Zimbabwean and African man. To share my story because I know when we share our stories it makes us better human beings. We relate to each other that way. This is the way that our ancestors spread our tradition through storytelling. I am just hoping I am doing what my ancestors did and hopefully that way our stories can be preserved because this is another things that colonization did. By writing we are saying this is part of Zimbabwean history, this is part of African history. And hopefully other Africans, especially African sisters can be inspired to tell their stories because this is what empowers and makes us better people. Through writing and reading our stories, we can understand and change our society for the better. Gaamangwe: That’s amazing and so vital. It is through documenting our stories is important so that the future generation can see where we are as their past and evolve from that and maybe create a better reality than the way it is now. Let the effects of colonization end with us. That will be great. Tapiwa: Let them be the ones that say no more. Thank you very much for this dialogue. I feel enriched.